Times have surely changed. And along with the changing times, Football has continued to adapt. Gone are the days when Football players didn’t have the right type of shoes or suffered from excessive bodily damage. 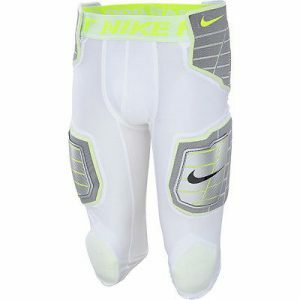 Thanks to modern innovations, the football gear we have available in the market today is designed to ensure the safety of all players on the field. But, as innovations go, there will always be someone at the top of their game providing the very best equipment possible for both pro and amateur level players. So, in this EliteGearReviews Guide to 2019 Football, we’re going to look at what’s the best product out there from helmets to cleats and give you an insider look into these items so you can decide for yourself if you want to include it in your gear. One of the most important and probably the one piece of equipment that defines this sport is the helmet. The funny thing is, very little has changed about the helmet. That is, until now. There are now many companies committed to providing the best helmet out there which can have a totally positive impact on the players’ safety on the field. 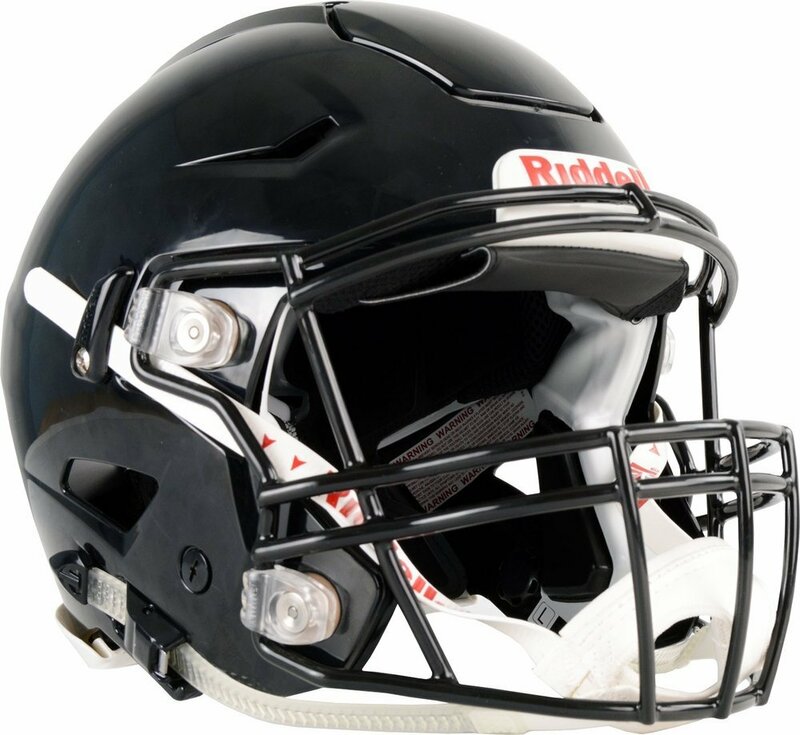 If there’s anything Riddell Sports specializes in, it’s developing the most cutting edge helmet in the sport today. This helmet incorporates the Flex System that helps redistribute the force received from external impacts. The SpeedFlex is an innovation that many other companies are trying to emulate and incorporate into their helmet designs. There are many layers built into this helmet all with the specific goal of keeping your head intact even though you’re getting hit every now and then with the force of a car crash. Cleats aren’t just for digging in deep into the turf. Cleats can also help you launch forward and reach the other end of the field. Now, all of these things involve the use of your feet. And that’s what we’re going to focus on, providing performance enhancement capabilities and maximum foot and ankle protection. Football is equal parts a sport that requires raw physical strength and speed. If you’re not a lineman, you’re going to need these cleats. 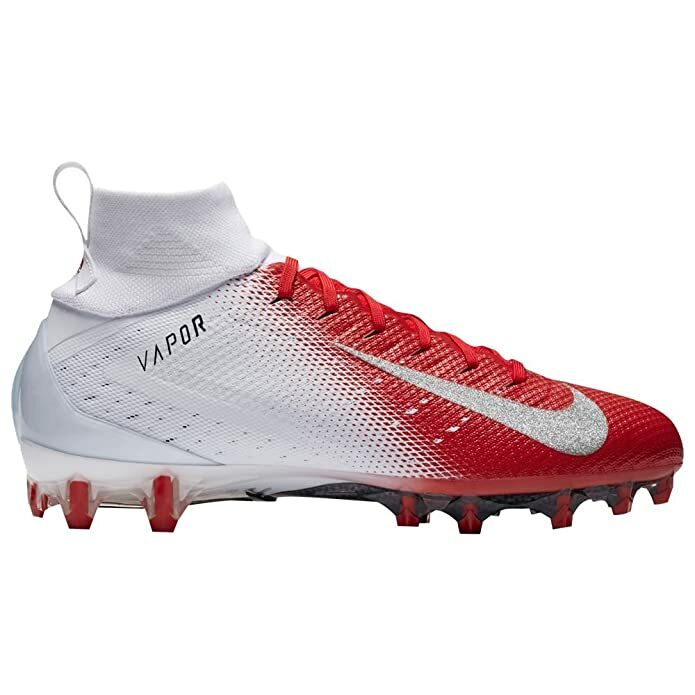 The Nike Vapor Untouchable Pro 3 Mens Football Cleatis designed for players who have to prioritize speed over strength. The Untouchables 3 is made of lightweight material with superior foot support. What makes these pair of shoes different from all the rest? Well, they features a unique carbon fiber plate that gives you excellent traction without sacrificing your foot’s flexibility. This is an aptly named pair of cleats as this will allow you to remain untouchable on the field and give you the type of performance only the real pros manage to pull off. If speed is not your priority, then the Under Armour Men’s UA Crusher RM Football Cleats might be the right pair of cleats for you. The oversized spikes should help you dig in deep into the turf so you can stand your ground against the other guy. 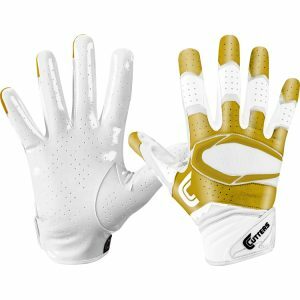 Whether you’re the quarterback or a lineman, you will need gloves to help you hold on to things as well as protect your fingers from getting injured. So, we’re going to pick the best pair of gloves that ensures resistance to damage, allows for finger flexibility and provides traction so you can hold on to the ball or your opponent. These pair of gloves may be the best ones suited for Receivers (as the name suggests) but they can be used by all the other player positions too! And just like all Cutters Gloves, The REV Pro has C-Tack to provide excellent grip on the ball at all times! 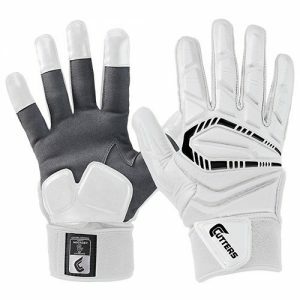 If you’re a lineman, get the Cutters Force Football Gloves , those are made to take a beating and equally give one. Let’s face it; you basically need a suit of armor to play this brutal sport. But you don’t want to be clunking around clumsily on the field wearing the wrong equipment right? So let’s try to get you all suited up with the right gear so you can protect yourself at all times while playing the sport you love. Nike surely lives up to their name. They’ve come up with a flexible suit of armor that can truly protect you from all types of external impacts. And they do all of that without disrupting your silhouette on the field. The Hyperstrong Girdle features padding in all the right places to help you avoid getting injured. This is made with very light materials so it doesn’t weigh you down and it is very flexible so it doesn’t hinder any movement you make. If you’re playing a very brutal sport, you’ll have to make sure that you have the best protection possible on all parts of your body. And one of the most essential pieces of equipment that you must absolutely wear on the field is a good mouthguard. The Battle Oxygen Lip Protector Mouthguard with Connected Strap doesn’t just protect your teeth from getting knocked loose but it can also help you avoid bloodying your lips. This has become the favorite mouthguard among football players because of the product’s durability and the high level of comfort it provides every time you use it. That’s because Battle Oxygen only uses the best materials for their signature mouth-guards! Well, these are the absolute essential gear that you should have on the field. Not having any of these is a sure way to get hurt. So, make sure you properly equip yourself with what we’ve listed down for you and you’ll be able to see your performance increase in leaps and bounds! 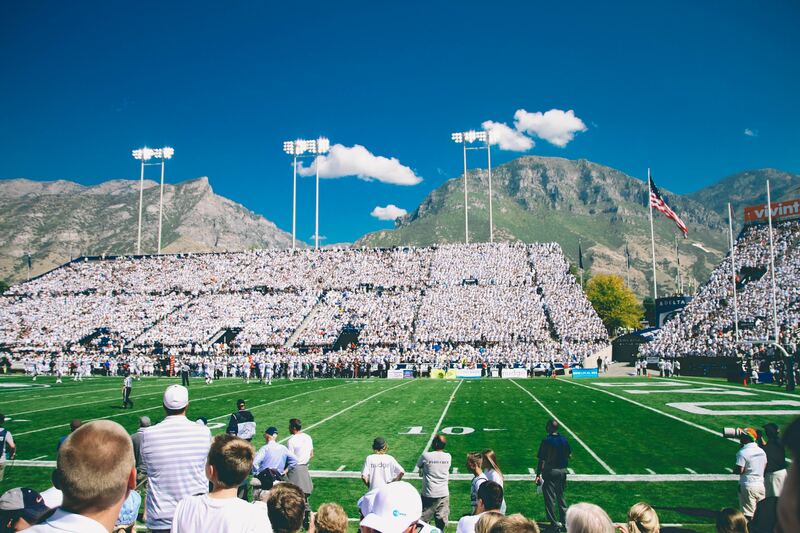 Thank you for reading this EliteGearReviews Guide to 2019 Football we hope it has been a helpful resource for you to find out what the best products are out there for you to use! Check out our EliteGearReview Guides For Linebacker & Quarterback essentials!